AJ on Purr-fect solutions is a community of developers creating free resources for all to use! 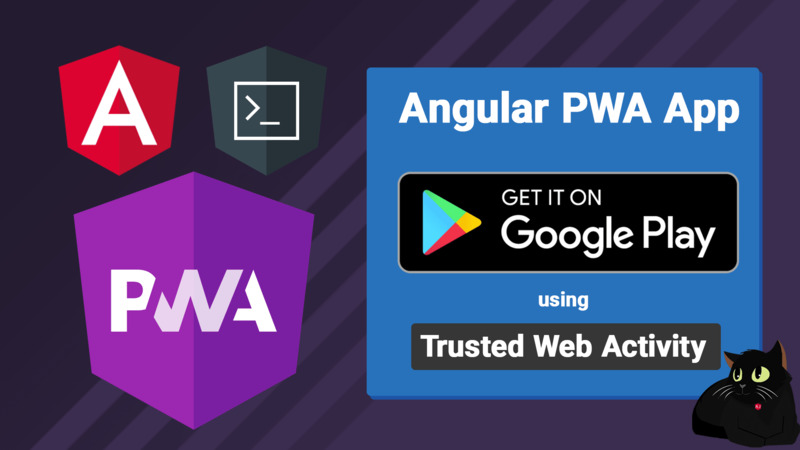 Angular PWA to Google Play store, using Trusted Web Activity Created: March 14, 2019 | Rating: 5/5 Angular PWA to Google Play Store Coming soon…. PWA (Progressive Web Apps) are becoming more mainstream, allowing web applications to run as if they are native applications on your devices. Something that has been missing is the ability to list these applications in a centralized developer store. With the new introduction of TWA (Trusted Web Activity) you are now allowed to create a native application and APK file from a trusted PWA. Which means you can now delivery your PWA directly from the Google Play Store. Using Firebase and FirebaseUI to Authorize users and Firestore rules to Authenticate within Angular Apps. Build all of the Angular Material Form components with data from Firestore.